Let’s face it, travelers want experiences. And as a concierge, I’m always looking for new experiences in the city. 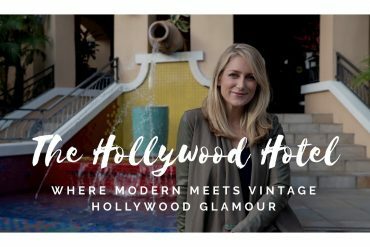 After all, I’m asked on a daily basis for advice on what to eat, see, and do in Los Angeles. 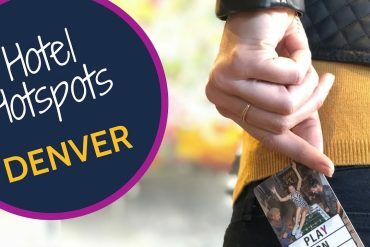 I’ve been on countless tours, from group tours to private tours, but I wanted something that would be really different. One of the many ways I get new ideas on what to do in the city is by looking online. TripAdvisor is one of the ways I can vet new businesses if I’m looking to suggest something I personally haven’t tried yet. I know people have mixed feelings about review sites, but if you take the time to read the reviews and find the thought-out comments, they can be pretty powerful. I read their reviews on TripAdvisor, and everyone was raving about them! 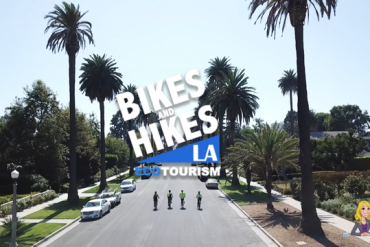 From their tours to their tour guides, Bikes and Hikes LA was really making a positive impression! I had a free day, so I booked a tour a week ahead of time. I personally love to stay active (in case you didn’t know!). They have this really cool “LA in A Day” tour where you bike from West Hollywood to the beach and back in a day. Although I’m pretty competitive, I opted for an E-bike. Um, holy game-changer! Why have I not been on an E-bike before?! We started in West Hollywood at their shop. We rode through Beverly Hills and stopped at Greystone Mansion. The history of that place! Continued through Bel-Air (Hello “the Fresh Prince of Bel-Air” House), Brentwood, Santa Monica. We got lunch at a delicious place in Venice Beach, the perfect place to people watch. Then we hopped back on our bikes and cruised through the Venice Canals, Marina Del Rey, Ballona Creek, Culver City, and finally made it back to West Hollywood. The same friendly faces greeted us at the end with cold beers and high fives. The day was unlike anything else. Personally, I felt accomplished, buzzing with all sorts of new knowledge, and giddy from all the fun we had. I think the first thing I said when we got back was “Um, can I do this every day? !” I tend to get excited about things, but I think you understand my sentiment. Biking through LA is such a FUN way to see the city. You avoid traffic, get a good work out in, and really experience the city in a far more intimate way. Never underestimate the power of a guided tour. You can cruise around a city (by car, bike, or foot), but to have a really good tour guide that knows the history and many stories of a place really takes the experience to the next level. Bikes & Hikes LA has many great guides. Always try new experiences. If you travel, that’s a perfect opportunity to do something different. But more so, even as a local, this is a great way to re-experience your city through fresh eyes and context. Book in advance. This is what I have learned from my many years as a concierge. Book in advance so that you can make sure you get to have the experiences you want. If you want until the last minute, you might run out of time, or it might not be available. And that is the worst. I’m kinda partial to TripAdvisor as I can read reviews and book, all on one platform. E-bikes. Where have you been all my life?! LOVE them. Ok, ok, now that you read about my experience. Check out the video we made to capture the day!